We are blessed to have Rick here to help take care of the many messes that happen around the church. 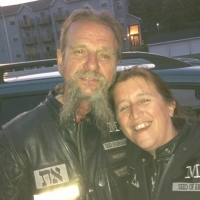 Rick and his wife Brenda are motorcycle enthusiasts and actively part of the Christian motorcycle group called Seed of Abraham. They spread their love on their many Sunday School and foster children.